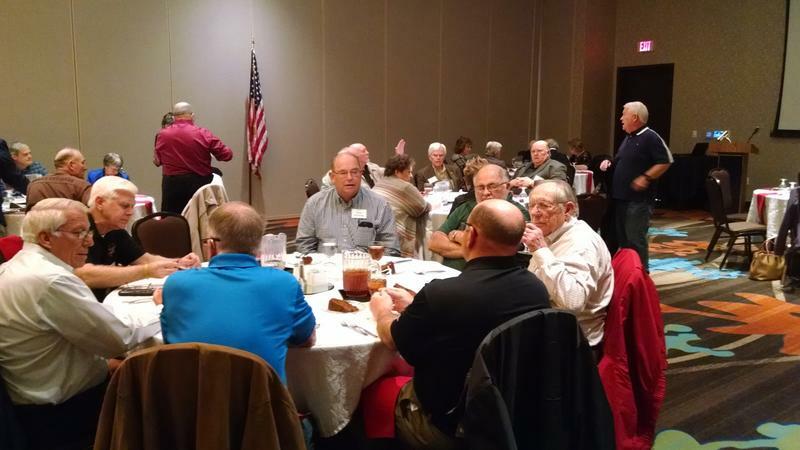 We hold membership meetings on the second Wednesday of January, September, and November at the Prairie Building of the Great Plains Coliseum complex with a luncheon beginning at 11:30 AM. Our March meeting is normally held at the Veterans Center on Flower Mound Road to allow us to have lunch and visit with the residents. The Annual Membership Meeting is the second Tuesday of May with meet and greet at 5:30 and dinner beginning at 6:00 PM. We normally have a guest speaker present a short topic of interest followed by questions and comments. We also have updates and answer questions as needed from selected Chapter Executive Board leaders. We send out reminders by email or you can check the calendar on this website. Please contact Marilyn Janosko (580-429-3363) if you would like to recommend a speaker or suggest a topic to be discussed.